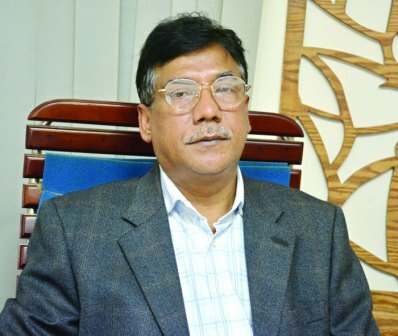 Interview: Says Tipu Sultan Bhuiyan, MD, ASK Trade & Exhibitions Pvt. 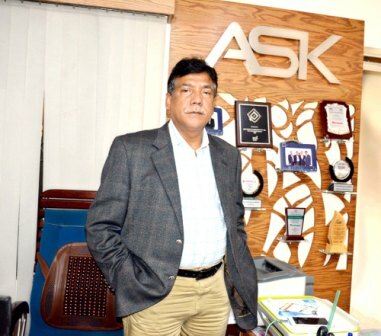 Ltd.
Ibrahim Khalil Jewel: The person, who has already been acclaimed widely by organizing international exhibitions in Bangladesh on different sectors, is Mr. Tipu Sultan Bhuiyan, Managing Director of ASK Trade & Exhibitions Pvt. Ltd. In an interview given to The Apparel News, he has shared experience on organizing his first fair in 2002, after passing a long way how much response he is now getting in the international arena and how many industries, especially garment and leather industries are getting benefits from the fairs he is organising. The Apparel News: You have started a different kind of business in Bangladesh, which is recognizing the country positively as well as it is creating the employment opportunity. You are also branding Bangladesh all over the world. Actually, we are talking about organizing your various international exhibitions or fairs. In this context, please say something. Tipu Sultan Bhuiyan: In fact, our main business was promoting garments machineries. Doing this business, we have traveled many countries of the world and visited fairs or exhibitions there. The aim of the travel was to see which country is manufacturing the latest technology-based new machinery and our garment industry owners will get what kind of benefits using those. For this, we have visited many countries, especially Japan, China, Singapore, Hong Kong, Germany and visited the exhibitions organized there. When we were selling garment machineries and visiting the exhibitions abroad, then I thought why we don’t organize such fairs in Bangladesh. In Bangladesh, the garment business had already become very widespread. During the time (in the 90’s), we have noticed that many garment owners have been visiting exhibitions abroad spending their money and time. If we can arrange the same type of exhibition in our country, then the entrepreneurs and everyone associated with this industry can easily visit those. Because, many people cannot visit fairs in foreign countries for want of time and opportunity. 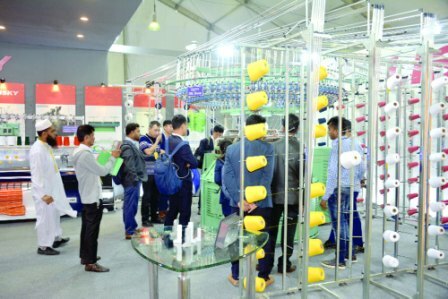 If we organize such fairs in Bangladesh displaying new machinery and other materials from other countries, then they can see those after spending only a couple of hours. We started the exhibition from that thought. First of all, we started fair on garment technology. Its name is ‘Garmentech Bangladesh’. In 2002, we started the fair. Since then, we have been organizing this fair every year very successfully. In this year (2019), the 18th Garmentech Bangladesh Exhibition will be held at four halls and seven tents of the International Convention City Bashundhara from January 17-20. More than 1,000 stalls will be installed here to display technology of different manufacturers from 23 countries around the world. Most of the stalls will be set up by foreign companies. Because, you know that the technology our RMG sector is using is mostly foreign-based. We have a very few of own technology. We have a local agent, but techno-mechanics are coming from outside. From this point, I would like to say that more than 90 percent of the stalls will be set up by foreigners. If I talk about the primary period of this kind of business, then it was a different kind of business. But now, many people are involved with arranging various types of trade fairs. The Apparel News: What kind of branding of Bangladesh is being done by organizing these exhibitions? Tipu Sultan Bhuiyan: I would not like to say in such a way that we have a lot of contribution to the branding of Bangladesh. Because, the branding of Bangladesh has been made by our garments industry. All the people of the world know about our ready-made garments industry and we have used that opportunity. Another cause is that there are thousands of garment factories in Bangladesh and everyone is exporting regularly. So any machine, cloth, yarn or any other accessories manufacturers at any part of the world target Bangladesh as importing country. They know that Bangladeshi entrepreneurs are the main buyer of their products. We basically work as a media here. Every year we invite every manufacturer to participate in this fair. At the same time, we invite people who are involved in this industry in Bangladesh. As a result, it turns into a get-together. Any visitor can see any instrument from niddle to machinery, yarn, spare parts, and even latest high-performed automation and robotic machines here. From the fair the visitors can get an idea about the technology which is coming in next five years. Many things about technology can be learned from this fair. Another important thing is that we have many companies who buy machineries directly from foreign companies and use those in the factory and face many technical problems by working throughout the year. We notice that those companies participate in our exhibitions. Then Bangladeshi companies can solve these technical problems in the fair by sitting with the representatives of those companies. Here you can get clothes under the same roof, get needle for sewing and get the latest machines for using. Besides, the fair plays a very helpful role for the marketing of our own industries especially garment accessories that have been developed by this time. We have not a lot of fabrics, there are several fabrics only and I think their contribution to the direct export is very little excepting Denim. We are self-contained in all products of jeans and knit. The Apparel News: How did you get the idea of organizing the fair and when did you start it? Tipu Sultan Bhuiyan: We first organized the fair in 2002. At that time, we visited Dhaka city and found no venue to organise such a fair. Then, the China-Friendship Conference Center (now Bangabandhu International Conference Center) was not ready. After searching here and there, we chose the ground of the Gulshan Youth Club. We rented the ground for 15 days from City Corporation. We filled up the field with sand and leveled it with the roller for making the ground fit for holding the exhibition. We made temporary shades after buying tarpaulin and stall making equipments from India. So, we organized the first fair. Here it is important to say that ‘SEMS’ started to organize the fair before us but they held it in the Sheraton Hotel's Ballroom. We thought first to arrange the fair outdoor. In 2003, we organized the fair at the then China Friendship Conference Center and continued until 2015. In the same year, we came to know about the facilities of Bashundhara. A team from Bashundhara came to us and invited to visit their venue. Since then, we have been organizing the fair there as the venue maintains international standards. The Apparel News: Who inspired you to organize such fair? Tipu Sultan Bhuiyan: Surely, there was inspiration. After passing the Masters from the Management Department of the University of Dhaka, I joined private company in 1983. I was working in the company owned by Md. Zakaria Bhuiyan. He has a great contribution in the development of garment industry in Bangladesh. He was sole agent of Juki Japan. We know him as the pioneer in developing Bangladesh’s garment industry. He got the first approval to open back-to-back LCs for export. Then we organized the first fair in 2002 under his supervision. By acquiring experience from there, we gave concentration on other sectors apart from ready-made garments. We organized the ‘Leathertech Bangladesh’ exhibition on leather industry. We organize the fair under our company ‘ASK’ which was established in 2009. The Apparel News: What kinds of fairs you are organizing? Tipu Sultan Bhuiyan: After organizing the exhibition very efficiently and successfully in the garment sector, I thought that why we did not organize such fairs in other sectors. Then I thought about the leather sector. We saw that we have our own leather, raw materials; Bangladesh knows how to stitch or make and we have idea about the international market. Moreover, we have manpower. So, we saw that leather sector can be a sector of huge export for us. Keeping this idea ahead of us, we started arranging fairs titled ‘Leathertech Bangladesh’ on leather industry. We've already organized the fair for sixth time and have got enough response. The range of this fair is increasing day by day. The Association that works for local leather industry cooperate us in all ways. Our entrepreneurs display finished leather products at a stall in Bashundhara. Buyers from all over the world come here and see what kind of leather and leather products are being made in Bangladesh. They make order especially leather shoes and bags just from the fair. Meanwhile, many domestic industries have received many export orders and they are exporting products regularly. The technologies, which are being displayed at the fair, are helping our producers. Here's an example: Like a cottage industry, there is a large area of about 2,500 to 3,000 small industries in Bhairab, Bangladesh. There is a factory in a room or two rooms. They manually make shoes and sandals. They fulfill almost 70% of local demand of Bangladesh. Local consumer market of Bangladesh is increasing day by day. At once, we saw that people did not wear sandals. Now everyone wears sandals and and these are fashionable. Still, 30% to 40% of our local needs are being met by imports. There are small-scale industries of shoes in Rajshahi and Keraniganj apart from Bhairab. The importance of our Leathertech Fair for our small business owners cannot be described in a word. It is not possible for them to go abroad to see a machine. But when the fair is organized in Dhaka, they come here and see which machines are helpful for their production. Then they order one or two machines during visiting the fair. Their production and its quality increase for using those machines. Not only the machines, they get all things, including their yarn or other components, from the fair. So, they are very happy with the fair. We also organize 'Bangladesh WoodTech' on the furniture industry in June-July. We organize 'BuildCon' fair on the construction industry which is also held in June-July. In addition, the fair on the interior and exterior is held in Sept-Oct. We also organize ‘Lighting Expo’. One mentionable thing is that we organize fair on technology as the topic of our fair is technology. We are bringing the technologies that are being developed around the world in various sectors and the technologies that are being updated to the doorstep of businessmen. The purpose of our fair is B2B (Business-to-Business). So our company's slogan is 'Bringing Business to Do Business'. The Apparel News: Tell me something about our achievement from the Garmentech. Tipu Sultan Bhuiyan: We will tell about our achievements from Garmentac, Leathertek and Woodtech. All the technology manufacturing companies in the world that are especially in these sectors know our company. Those who are the entrepreneurs, i.e. consumers of those technologies in our country, also know us as well. And both parties are eagerly waiting for participating in these fairs. That's our big success. And our country, our industry is getting benefits directly and indirectly through our fairs. Our industries are being updated in using technology. By using the latest equipment, our industries are proving its potential in the international arena by increasing productivity and quality products. Another thing is that a large number of foreign companies participate in each fair in regular basis. Foreign people stay in our hotels that help the hotel and tourism industry flourish. Our air transports and land transports are also being benefited. They who take part in the fair, pay stall fee in foreign currency. This money comes to Bangladesh through banking channels contributing a bit to foreign currency reserves. The Apparel News: Are there any limitations in arraning the fairs? Tipu Sultan Bhuiyan: In terms of the limitations, it is to say that no hall or venue has been constructed in the country either publicly or privately for arraning the large scale international standard fair what we are organizing. There is variety of limitations, including limitation of space for arranging big fairs in Bashundhara. We cannot provide the environment what the foreigners want to get here. If we organize big fairs, then we have to build a temporary tent that the foreigners do not like. The power supply is also not comfortable. Despite having such limitations, they come here for the sake of business. However, I would like to mention here that a Trade Center maintaining international standard is being constructed in Sector 4 of Purbachal. It may take more than a year to complete the work. Then we will get an environment and those people who will take part in the fail will feel comfort. This is not only for our fairs, but also those who organize fairs will be beneficiary from this. The Apparel News: Tell us about the future of our leather industry. Tipu Sultan Bhuiyan: Now we basically exist in a transition period in leather sector. A deadlock situation has been created due to the relocation of tannery to Savar from Hazaribagh of Dhaka city. The industries need environment and labor alongside technology to operate the industries in a full swing like the past. It may take a little more time to make this infrastructure. The Apparel News: What do you think about the destination of Bangladesh’s garment industry in the next 10 years? Tipu Sultan Bhuiyan: I think those who are directly involved with the garment industry will be the right person to answer the question. However, following the interest of international clothing traders that we see during the fair, we can say that this industry is going forward more and more day by day. The new factory is being setting up. When I talk to garment industry owners, I hear that they cannot take new order for garments for the next one or two years or until they complete the previous orders. Our government has set a target of exporting 50 billion dollars of apparel items by 2021. Due to the continuous growth of this industry, I think that achieving this goal will not be difficult. And regarding the challenges, I would like to mention that our ports facilities are not sufficient. There is also problems in local transportation. The Apparel News: In which position do you want to see Bangladesh? Tipu Sultan Bhuiyan: In fact, I am not a politician rather I am a small businessman. What I wanted the government has already announced and it is to turn Bangladesh into a middle-income country. In the way the government is moving, I believe it is possible to achieve this goal within a stipulated time. Considering my age, I might not see Bangladesh as an developed country but I do believe that one day Bangladesh will enter to the developed world. The Apparel News: In which position do you want to see yourself? Tipu Sultan Bhuiyan: I am a businessman and I want to see myself as a businessman. In future, I want to serve those people who are working on my fairs’ sectors. My great success will be to provide my services to them continuously. The Apparel News: Do you have something to say about those people who take part in your fair and want to take part in the future? Tipu Sultan Bhuiyan: My job is to create a platform every year. Our businessmen go abroad to see technology after spending a good amount of money and most valuable time. But I present that technology every year at their doorstep. So, through The Apparel News, I would like to call upon them saying that if you implement the technology in your industry after gaining knowledge through paying visits to the fairs spending a few hours, the industry will be technologically updated and all those who work here will be benefitted.